Almost everyone loves to eat chocolate. Cacao is one of the most popular trade goods in the world and is used in many different beverages and foods. Chocolate also has an interesting history that started way back in time. According to historians, chocolate has been around since 1900, before Christus, and was consumed in the form of an alcoholic beverage. The Mayan people considered the cacao beans a food given to them by one of their gods, while the Aztecs used cacao beans as a form of currency. 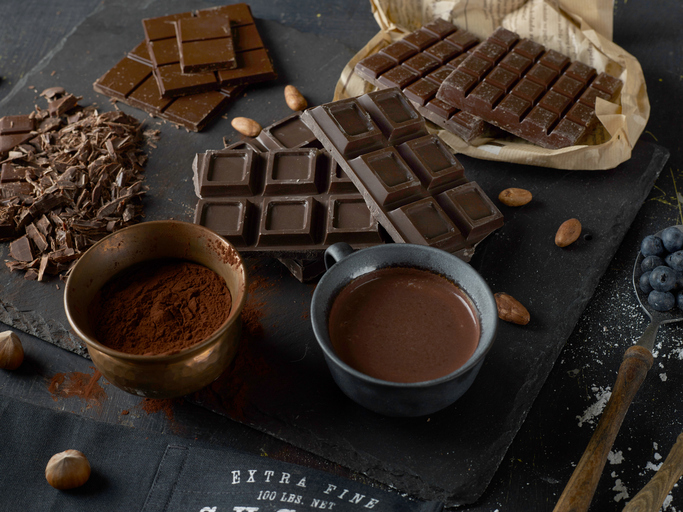 In Europe, chocolate was only introduced in the beginning of the 16th century, as a result of import by the Spanish. The Europeans, just like all the others before them who discovered cacao, quickly fell in love with cacao beans and its many uses in the 16th century. Belgian chocolate has a history dating back to 1635, while the English, French and the Dutch cacao plantations date back to 1650. The countries took advantage of their colonies and many poor labourers and African slaves were forced to pick cocoa beans by hand. Most of Europe still used the cocoa bean in its plain form and continued doing so until the Industrial Revolution. At that point, Coen van Houten managed to remove the bitterness of cacao by adding alkaline salts to it. From then, many scientists went on to discover ways to improve the taste of chocolate by adding, for example, sugar, honey or cinnamon. Chocolate was considered to be a luxury item during the 16th century, which was the case for several reasons. Chocolate was initially only imported by the Spanish, due to their early colonization of American countries. This made it harder for other European countries to get their hands on cacao beans or chocolate and therefore, it was more expensive to buy. Even within the Spanish empire, it was considered to be a luxury item that could only be consumed by the wealthy elite and members of the Spanish court. The value of chocolate, however, greatly reduced after the beginning of the Industrial Revolution. This made it possible to produce chocolate on a broad scale, using machines instead of intensive human labour. Thanks to the Industrial Revolution, chocolate became available to a much wider public and can now be bought anywhere, from supermarkets to special chocolatiers. However, chocolate and its history have also become a collector’s item and can even be found at barnebys.